I can never ever have enough lip balms in my bathroom, handbag and cosmetic pouch! My lips are addicted to lip balm and during the winter season, my lips are always in dire need of lip balm to condition dry and chaffed lips. 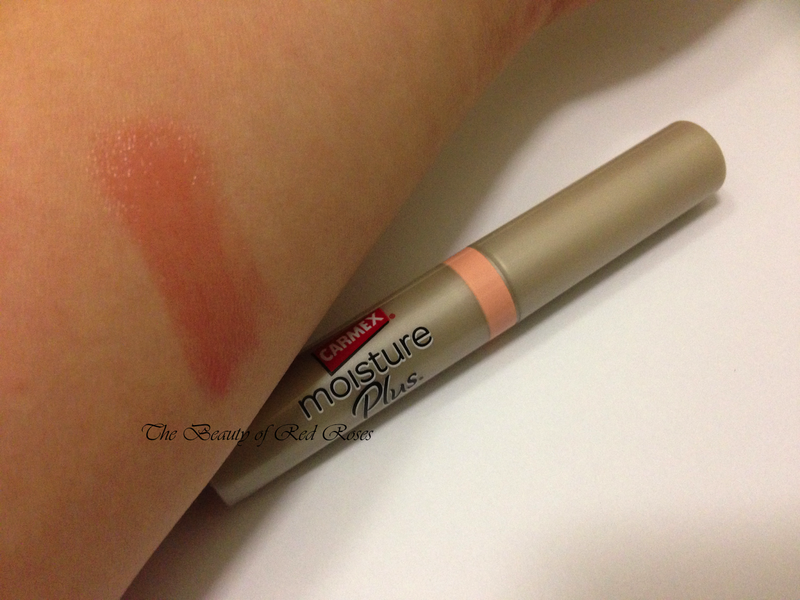 I recently purchased the Carmex Moisture Plus Ultra Hydrating Lip Balm (A$8.99/2g) in the Peach Sheer Tint variation as I was intrigued to see how moisturising and nourishing this lip balm claims to offer. 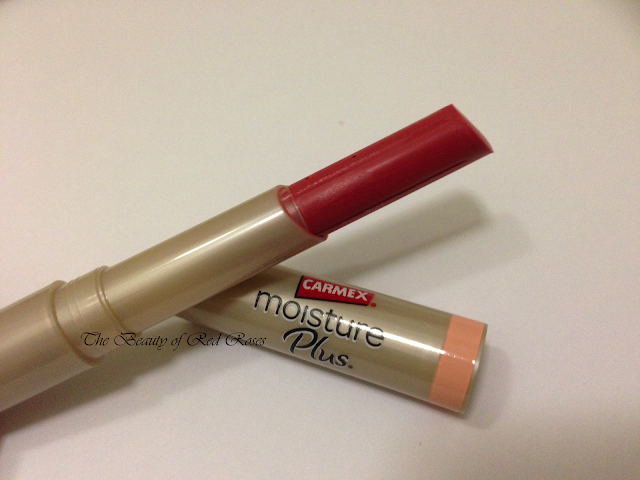 Carmex Moisture Plus Ultra Hydrating Lip Balm is also available in the Pink Sheer Tint and Clear variations. The Peach Sheer Tint provides a subtle hint of colour for a MLBB (my lips but better) finish which looks very natural and pretty. The texture of Carmex Moisture Plus Ultra Hydrating Lip Balm feels very silky smooth and only a thin layer of product adhered to the surface of my lips. The formula was very moisturising, just what my lips needed, and improved the texture of my lips after continual usage. The inclusion of Vitamin E and Aloe within this lip balm were very effective to improve the condition of my dry lips. However, the formula was not long-lasting, so re-application of 3-4 times per day was necessary to prolong the nourishing properties of this lip balm. The sun protection factor of 15 is a great characteristic of this lip balm as it is important to always protect your lips from the harmful rays of the sun. 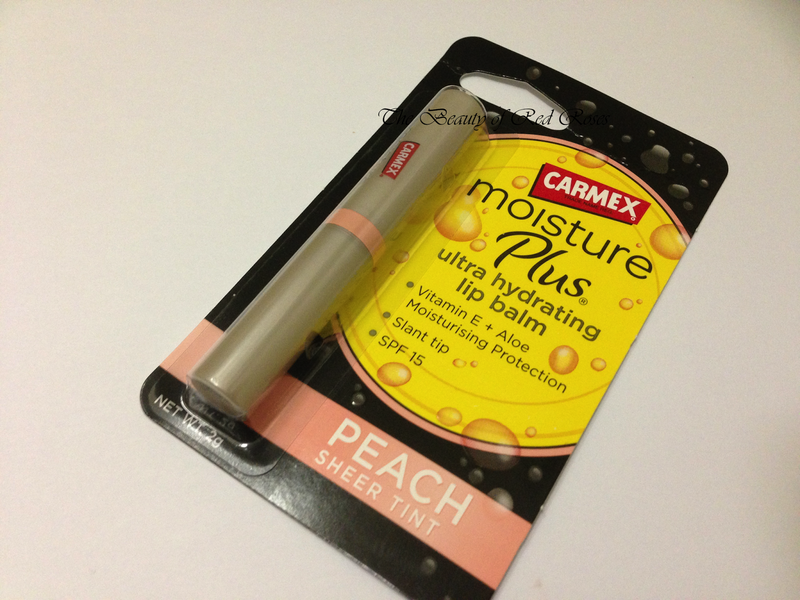 Carmex Moisture Plus Hydrating Lip Balm in Peach Sheer Tint is an effective lip balm for dry, sore and chapped lips. The small tube means that you can slip it in your pocket or handbag, so you can use it whenever you need it. I find this lip balm to be quite pricey, however, the ability to provide subtle colour, SPF15, nourishment and moisturisation to the lips makes does make this product well worth the price tag. Which products do you use to condition dry and chapped lips? Have you used any lip products by Carmex?